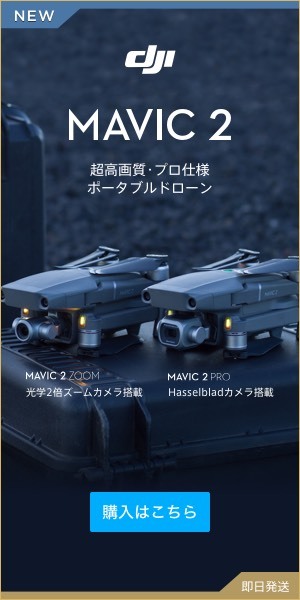 【Flying principle】 Why can a drone fly freely? It is easy to explain why the plane will fly before entering the explanation of Drone. The wings of the airplane are shaped as shown in the figure. As air flows through the wings as shown in the figure, a pressure difference is created between the upper side and the lower side of the wing. Since the pressure on the “lower side” of the wing becomes higher than the “upper side”, the force pushed upward by the pressure difference works. Because the airplane can fly in the sky gains the power of this “lift”. And the larger the flow velocity on the wing, the bigger “lift” will be. So what kind of “lift” works can you fly in the sky? As shown in the figure, the wind that flows from “front” to “behind” is required for the wings of the airplane. The airplane is going to send the wind, by turning the propeller with the jet engine, the air continues to hit the wings, and “lift” is obtained. However, in order to obtain lift, the airplane needs to deliver more than a certain speed. Therefore, the airfield has a long runway, it is accelerating firmly and is flying. The propeller looks very closely and has a shape very similar to “wing of the airplane”. The shape is different from an airplane, but by rotating the propeller with the power of the motor, a pressure difference is born, “lift” works. And theoretically speaking, if four propellers are lifted with equal force, the drone will float. The figure above is the direction of rotation of a drone with four propellers. The rotor that rotates in the opposite direction to the rotor next to the rotor that gets the lift force. This will counteract the torque and make stable flight possible. It rotates all the rotors horizontally and produces lift force. I talked about why the airplane fly, whether the drones will fly, “lift” or not. So how does the drones move forward, move to the right or left, or are you turning? Although this is very simple, all operations are done by adjusting the “rotation speed” of multiple propellers. First, I will explain from “hovering” that emerges on the spot. “Hovering” is established by balancing the “lift” generated by the rotation of the propeller and the “weight” of the aircraft. As the propeller turns “faster” than in the front of the propeller, the difference between the “lift” in front of and the rear of the aircraft is born, and the rear one becomes “high lifting shape”. As a result, the drones will tilt, and they will move forward. By the way, we call “advancing” an “elevator”. This is also the same as the logic to “advance”. By “accelerating” the speed of the propeller on the left side of the drone, “difference in lift” is born on the left and right, the drone tilts to the right. Therefore, you can move to the right side. Moving the drone right and left is called “aileron”. In this case, as shown in the figure, when the rotation speed of the right-hand propeller exceeds the rotation speed of the counterclockwise propeller, the entire aircraft turns to the left. By changing the rotation speed of the propeller in the diagonal direction, the direction of turning changes. The movement which turns is called “ladder”. Disadvantages of multi-copter type drones. Even if at least one propeller stops, it crashes. As I explained the principle now, the four dragons of wings produce lift by working together, and you can fly freely. Conversely, if one propeller does not function it will “crash”. However, in the case of a drone with more wings, there are things that are designed not to crash even if one wing fails by any chance. In the case of an airplane, as the wing “glides” even if you lose power such as an engine, you can do some troubleshooting afterwards. In the case of a helicopter, by using the force of descent, you can rotate the main rotor and obtain lift. It was a brief commentary, so it may be hard to understand a bit. The lifting aircraft is lifted by “lift”. However, by understanding the concept of “lift” and the mechanism of the drone in a simple manner, it is possible to make safe and secure flight. On this site, we are participating in affiliate promotion program set for the purpose of providing a means to earn referral fee from [Amazon Associate] 【Google AdSense】 【DJI store】 link. Share the aerial shoot on the spot! Describe how to start a Facebook & youtube live using DJI GO 4 application. Drone and a round-the-world trip | Participate in a lecture by Mr. Yamaguchi who toured around the world with a drone! What is the cost and the work in the middle of a journey? Copyright© JAPAN DRONE WALKER , 2017 All Rights Reserved.